Hidden in the specifications for Apple’s new AirPods is the fact they require macOS 10.14.4, iOS 12.2, or watchOS 5.2 — updates that are still in beta, therefore signaling their imminent public launch. The system requirements for instant connect are listed at the bottom of Apple’s AirPods page, refreshed on Wednesday. Those updates should go live around the same time as Apple’s “its show time” event, given Apple’s expected March 26 ship date for the second-generation AirPods. The software could even launch as soon as this week, though Apple tends to push testing as late as possible for major point releases. In AppleInsider testing, iOS 12.2 and tvOS 12.2 are solid as of Monday’s beta release. We have been experiencing some issues with Mail and eGPU hot-plug in macOS 10.14.4, however. In terms of changes, macOS is seen to have a few major additions, such as support for Safari Autofill on Macs with Touch ID, and Apple News in Canada. There have also been sightings of Apple News Magazines subscriptions — those should be revealed at a March 25 press event and cost about $10 per month. 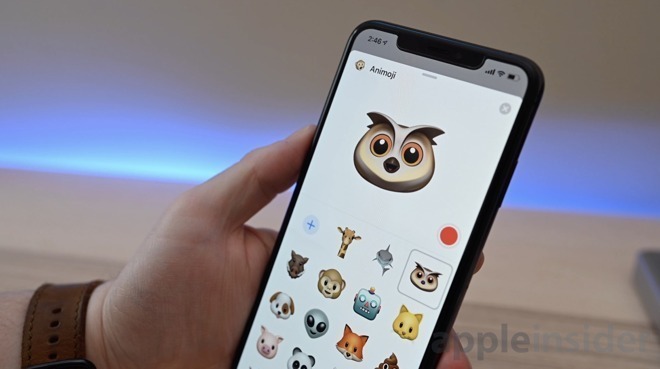 The bulk of changes are within iOS, which has four new animoji characters, Control Center and lockscreen tweaks, an updated Apple TV remote, updates to the Wallet and News apps, the addition of TV support in HomeKit, a new Apple News icon, and a new volume interface for the Apple TV when accessed via the AirPlay button. The 2019 AirPods include a new H1 wireless chip for better power effiency, faster connections, and “Hey Siri” commands. Buyers can also get an optional Wireless Charging Case, which could hint that Apple’s long-delayed AirPower mat is around the corner.